Enda and Valerie Dodd’s innovative software solution ‘ALL’, named after their company, Animated Language Learning, is driven by the belief that they can change the world. 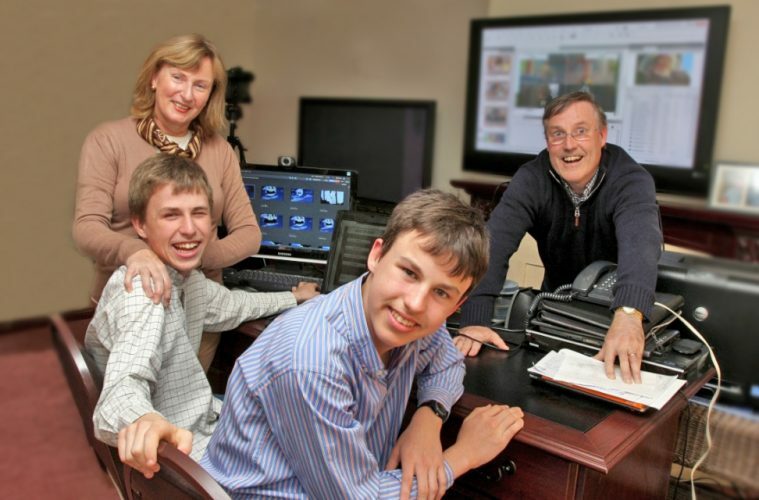 As clients of the NUI Galway Business Innovation Centre, they are determined to create a state of the art, visually rich language learning program that has already lifted their twin sons’ from the isolation of autism, and make it accessible to every family in need. Enda and Valerie Dodd originally moved to California in 2003 to find a solution to their sons’ condition. They actively started developing the software on a full time basis in 2009 in San Francisco and established Animated Language Learning Inc. The company relocated to Ireland in 2015 to NUI Galway’s Business and Innovation Centre. It was this quest that ultimately brought the family to San Francisco, and the collaboration with Disney, Pixar and Adobe e-learning teams. Having given up their jobs, Valerie and Enda focused on creating a solution for the autism that disrupted their sons’ language. In that time the family assembled a team of world-leading specialists and schools who together with the help of Disney led their twin boys out of the isolation of their condition. Today the boys are emerging out of their deficits, enjoying school, sports, relationships and looking forward to a bright new world.